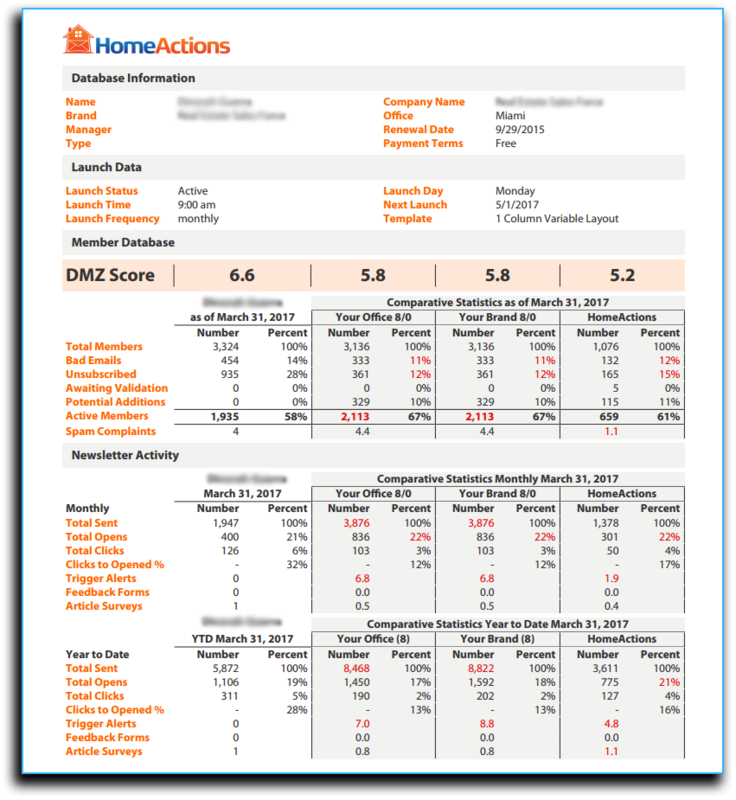 We give you comprehensive (and confidential) benchmark statistics comparing your digital marketing efforts to other HomeActions users. The Digital Marketing Z-score Report is a monthly report that looks at critical aspects of digital marketing when using the HomeActions platform. Key statistics, such as number of contacts, open rates, click rates, and trigger articles as well as others, are blended together to develop an algorithm to called a Digital Marketing Z-score. The Digital Marketing Z-score Reports is based on a 10-point scale. Once we obtain your score, we can then roll up the scores by region and industry to give you comparative benchmarks. We can also compare your score to all other HomeActions users. The fundamental idea is to help you see how you are doing on critical success factors within digital marketing by benchmarking.